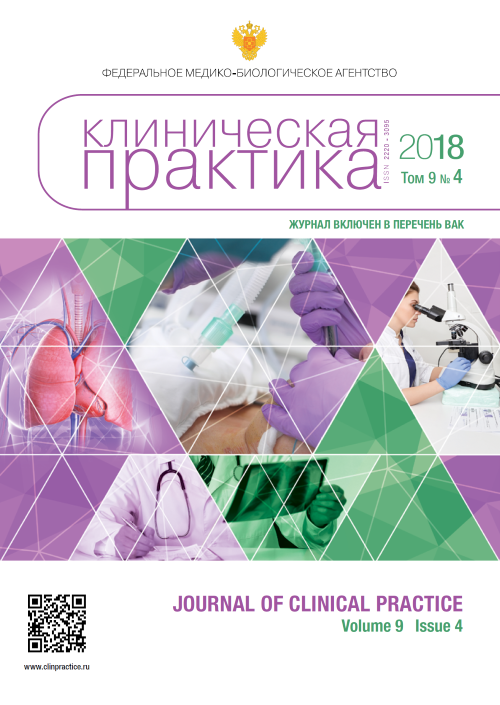 The main idea of our journal is to provide description and analysis of clinical cases with severe, rare and difficult for diagnoses diseases, occurred in the clinics of Federal Medical-Biological Agency of Russia. Such clinical analysis is aimed to develop “clinical” type of thinking, always have been the characteristic feature of Russian/USSR medical school. The journal purpose is also to improve scientific discussions and cooperation between physicians of different specialties. Revival of historical traditions in our journal is the one of the components of continuing education, which is especially important in “closed” territories, where doctors can`t regularly participate in clinical conferences. An important aspect is to provide a printed tribune for any doctor who has an interesting clinical observation and wish to share his experience with colleagues. That is why we named our journal "Clinical Practice" and address it, first of all, those skilled in applied medicine. Of course, we also publish the results of original researches, clinical guidelines, current reviews and medical news. The journal is multidisciplinary and we hope that it will be interesting to doctors of different specialties. The journal is published by means of the Federal Research and Clinical Center of FMBA of Russia. Placement of all materials, except for advertising, are free of charge to authors.